We’re not quite to the point where humans can be given liquid metal-based self-healing powers like those showcased by the super-cyborgs in the Terminator film series. But we’re closing in. Last month, neurosurgeons in China announced the development of a new liquid metal that can help regrow completely severed nerve fibers. As many as 20 million Americans today suffer varying levels of debilitation from over 100 different types of damage to peripheral nerves within the spine and throughout the body. Many types of nerve damage may be treated with surgery and physical therapy, but when a nerve fiber is totally severed, the only hope is to reconnect the separated ends. 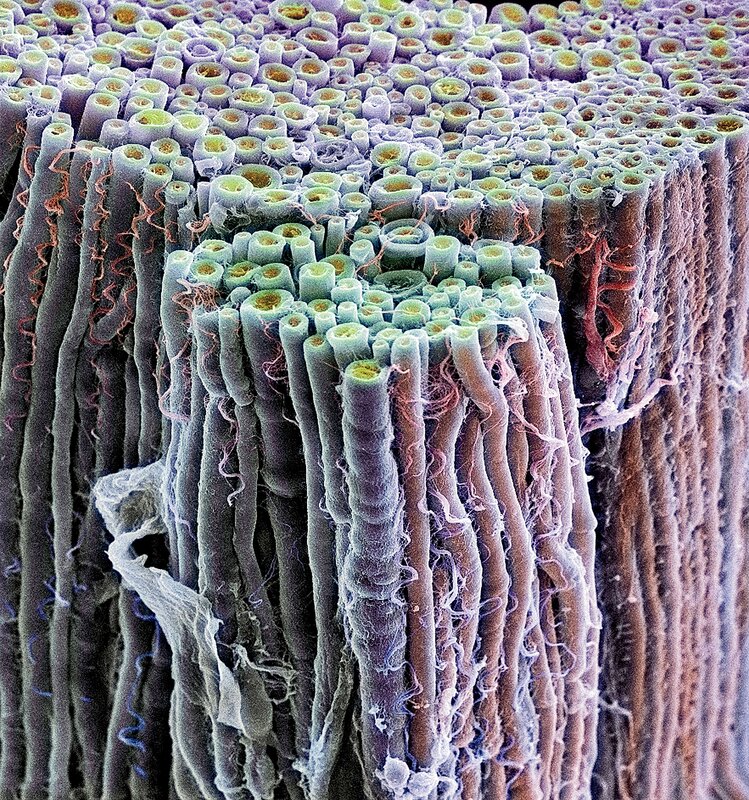 In recent years, techniques have been developed to reconstruct severed nerves, usually involving grafting nerve segments from other parts of the body (or a donor cadaver) into the gap between the severed endings. The process, however, is far from perfect; it relies on the nerve endings growing and knitting themselves back together—and nerves grow very slowly. It can sometimes take years for the nerve endings to reconnect. During this time, muscles that rely on the recuperating nerve can continue to degrade, sometimes to a point beyond repair, leading to long-term disability. Researchers have hypothesized that if signals from the brain could continue reaching the muscles during the recovery period, they could speed up the healing process. But they haven’t quite figured out how to make this happen. A team of researchers at Tsinghua University in Beijing, led by Jing Liu, believe they’ve come up with the solution. Liu’s team took a severed sciatic nerve connected to the calf muscle of a bullfrog and bathed it in a liquid metal alloy—gallium-indium-selenium (GaInSn). It turns out that the liquid metal acts almost flawlessly as a temporary bridge, allowing electronic signals to travel from brain to muscle (and back) almost as well as the intact nerve. If used during surgical nerve repair, GaInSn could help maintain near-perfect nerve function throughout the healing process. The long-term safety of having the liquid metal in the human body is still unknown—this lab-controlled animal test is only the first step. And though researchers have been looking into GaInSn for years (primarily as a tool for medical imaging), this is the first time the liquid metal has been tested for medical purposes. Nevertheless, the study holds tremendous promise for the millions every year who suffer from serious peripheral nerve damage.